After a very long period, Employees State Insurance Corporation (ESIC) recruitment to fill UDC & MTS posts in its branches has been announced.ESIC which works under Government of India`s Ministry of Labour and Employment, is the organization that manages Employees’ State Insurance (ESI) that provides health & medical benefits for all workers in India.This ESIC recruitment exam 2015 – 2016 is not related to IBPS bank exams. The Employees State Insurance is like a health insurance scheme that allows employees & their dependents to avail medical facilities incase of ill health. The funds are managed by ESI corporation takes care of effective implementation of the scheme including settling claims.ESIC has regional offices in all Indian states. A candidate can apply for any one post & region only. Exam dates shall be announced later. * Knowledge of working on computers. Candidates are requested to refer the recruitment notification of their specific region to know the exact exam structure. 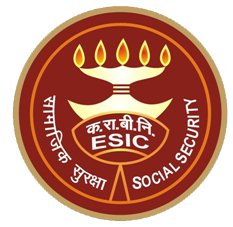 So there may not be any final interviews in this ESIC recruitment 2016 as there is no separate information mentioned about it in the notification. Books for ESIC recruitment exam are now available in their latest editions. You need to follow a two step registration process inorder to complete your submission. Step II: After 48 hrs of fee payment, use the activated link to upload your photo/ signature & complete the registration process. No fees for SC/ ST/ PWD/ ESIC Employees, all Female Candidates & Ex-Servicemen. For all others, the application fee is Rs.300. Are you interested to apply for ESIC Recruitment 2016?Then you should download the notification from the specific region`s website.